'Groton Farms', the Robert Dudley Winthrop estate designed by McKim, Mead & White between 1897 and 1902 in Old Westbury. 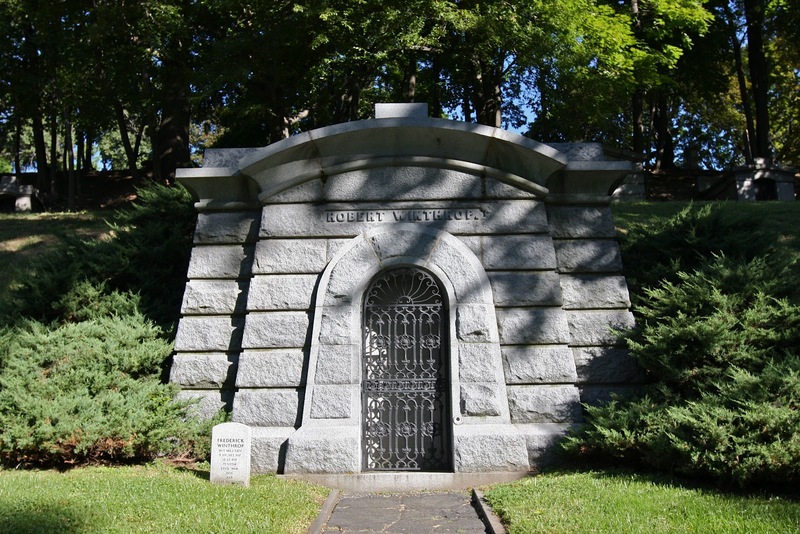 Winthrop was a member of the banking firm of Robert Winthrop & Company, founded by his father Robert Winthrop (click HERE to see his mausoleum at Greenwood Cemetery). R.D. Winthrop died in 1912 and the estate was inherited by his brother Beekman Winthrop. 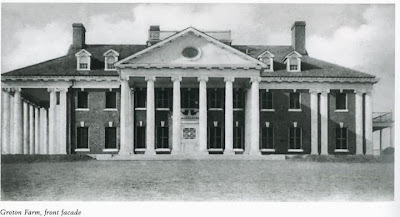 In 1932 Winthrop's nephew Robert Winthrop II built his own residence on the estate named 'Groton Place' designed by Henry Renwick Sedgwick. 'Groton Farms' was demolished c. 1948 but 'Groton Place' still stands as one of the last true estates left in Old Westbury. Click HERE to see 'Groton Place' on google earth and HERE on bing. For those interested in litigation, click HERE to read a New York Supreme Court decision in a fight between the contractor and owner. 'Groton Place' is also good looking; every now & then a gem survivies. A shame this gem didn't survive as the country clubs main house. I pass by Groton Place freqently, and still see horses with riders leave the estate. They seem to go to and fro from I think what be a Phipps estate off Store Hill Road. Robert Winthrop II was not the son of R.D. Winthrop. He was the son of R.D. 's brother, Frederic.